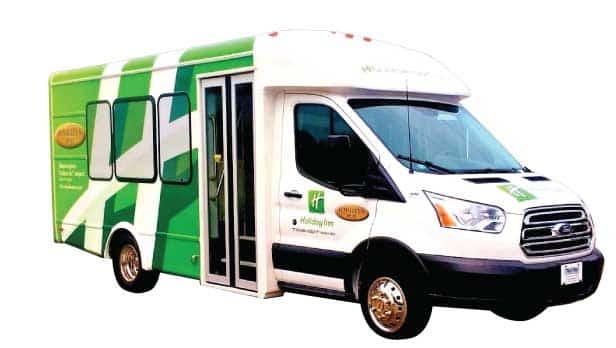 With 42 years of experience, CommTrans is one of the largest and most respected providers of hotel buses and ADA-compliant wheelchair buses for the hospitality industry. We offer small and mid-size buses with leasing options and hotel brand graphics compliance. Additionally, we make your new bus purchase easy with our in-house graphics department and delivery to your door. Go To The Senator II Bus Page For More Information. We offer passenger shuttles in both forward-facing and perimeter seating from 12 to 24 passengers. Choose from enclosed rear luggage space or interior luggage racks. We offer passenger shuttles with luggage from 14 to 23 passengers. Our wheelchair shuttle buses are available with side or rear electric lift, as well as luggage space. The Senator II wheelchair bus can seat up to 7 wheelchairs, and up to 16 passengers. The C2 Ford Transit shuttle bus has passenger only models in both forward-facing and perimeter seating for up to 14 passengers. Choose from enclosed rear luggage space or interior luggage racks. The C2 Ford Transit shuttle bus seats up to 13 with rear luggage area. 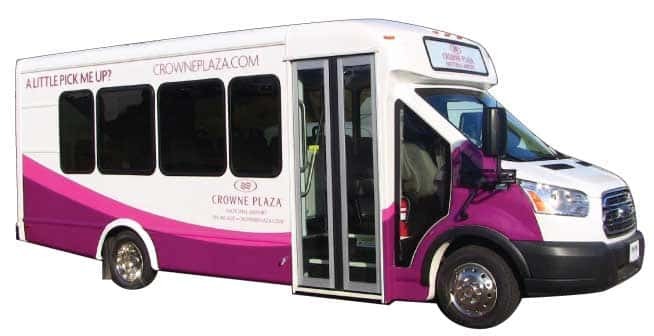 Our C2 wheelchair shuttle buses are available with rear electric lift. The C2 wheelchair bus seats either 8 with 2 wheelchairs, or 10 passengers with 2 wheelchairs.